The Cancer Services Program provides free cancer screenings including clinical breast exams, mammograms, pap/pelvic exams and colon cancer screenings to uninsured women ages 40 to 64, uninsured men ages 50 to 64 and uninsured or underinsured women under 40 years of age who are at risk of, or has had a clinically significant finding for breast cancer. 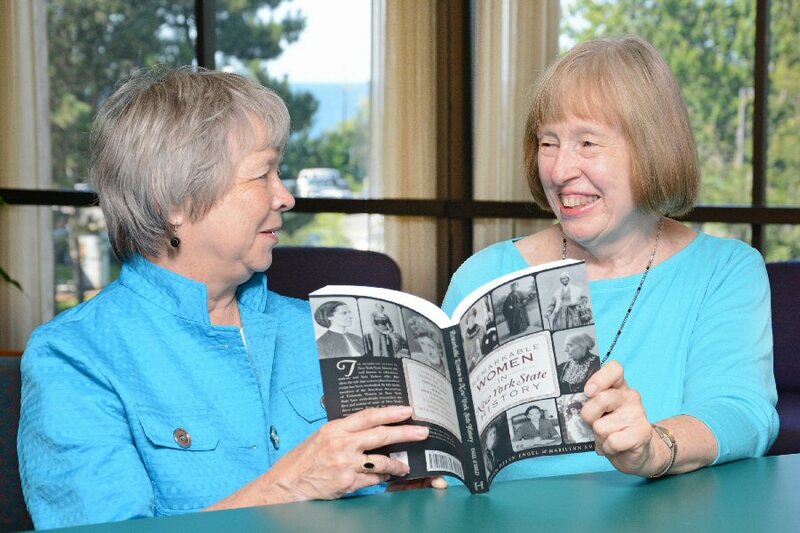 A new book co-edited by current and former SUNY Oswego faculty members recounts the indelible niches the women of New York state have carved, from suffragist Susan B. Anthony to astronaut Eileen Collins, from abolitionist and humanitarian Harriet Tubman to actor, comedian and producer Lucille Ball. Two open house and recruitment events will take place in the Oswego YMCA Armory, corner of West First and Utica streets — noon on Sept. 8, and 7 p.m. on Sept. 20. Kids are encouraged to bring any parents or guardians with questions. Centro Syracuse will operate the Sunday/Holiday schedule on Labor Day – Monday, September 2. Please check individual schedules for service availability in your area. Centro Oswego will be closed – no service (including the 246 Oswego – Syracuse route). Evelyn L. Harriger, 72, of Pennellville, passed away at St. Joseph’s Hospital Health Center, Syracuse, on Friday Aug. 30, 2013. Mary E. Jones, 93, of Fulton, passed away Saturday August 31, 2013, at Oswego Hospital. A benefit will be held for Helen/Candy Sereno on Sept. 15 at Timber Tavern Route 48 Baldwinsville from 1 to 6 p.m. Helen suffered a massive heart attack on June 16 and has been unable to work and faces mounting medical expenses.